There’s a whole lot of hype surrounding mindfulness these days. From corporate boardrooms to apps and virtual reality, mindfulness is trending more than ever. While to some this might be a turnoff, science is proving that mindfulness CAN be really, really good for us. With all the hype, it’s difficult to know what mindfulness really is. Is it meditation, relaxation, stress relief, something to make you more productive at work, better at sports, more adept at music, better in bed…??? Truth is, it HELPS will all of the above, but is simply about being aware of where you are right now, what you are doing, and most importantly, what you FEEL. RIGHT. NOW. It’s about the present moment, every single moment of your life. Mindfulness allows you to experience the present moment, which is your life, as you are living it, moment to moment. It tends to slow things down and simplify your life. Whatever you are doing now, give it ALL of your attention. That’s pretty much all there is to it. Simple right? Yes and no. The theory is easy to understand, but deceptively difficult to follow moment to moment as your mind constantly, and I mean constantly distracts you. Life and modern society tends to throw so much crap at us every second that we are alive. We wake up out of peaceful sleep to alarm clocks that jolt us. We immediately start our day off with stress. We rush to get our kids ready for school as we frantically try to get ready for work. There are lunches, finding clean clothes, homework, finding our own clean clothes, taking care of everything just to get out the door and START our day. This story repeats itself every day. Maybe it’s a bit different on weekends, but it’s a cycle that never ends, and we lose sight of the present moment constantly, even when we have the best intentions. That’s why practice is so important, and having a road map really helps. That said, here are some real benefits to learning to use mindfulness in your life. We all need this, especially in modern times, when we are constantly distracted. Mindfulness is a gift that we all should never take for granted in our lives. Stress is the big one. We don’t need to be reminded of how much stress affects not only our day to day quality of life, but our long term health as well. Stress triggers are everywhere in life, and more so lately with smartphones and tech giving us ever expansive access to things that agitate us, make us feel less worthy, stoke jealousy and envy, fill our heads with propaganda, and otherwise completely take us out of the flow of actual life. All these triggers mess with our minds so much that it becomes highly improbable to find any relaxation or joy in life. You can imagine quite a few, so I won’t go too deep down that rabbit hole right now. Let’s just say that work, home life, politics, traffic, bills, doctor visits, dating, and even the anxiety of having a low battery on our smartphones create cumulative stress that can do all these wonderful things to us, especially when we carry them from day to day with no way to deal with them. Yeah, some list right? Read it again, cause it’s happening inside you right now, unless you are some sort of super-chill person who can just let everything slide off. If you’re that person, great, you’ll have a much easier time with mindfulness. Most of us, however, are not that chill. We need a strong coping strategy, and mindfulness is a great one. Practicing mindfulness allows you to get absorbed in what you’re doing here and now. You will begin to un-clutter your mind and relax your body so that you can actually feel life. Doing so will allow you to prioritize things and actually get more stuff done, feel more accomplished, and way more relaxed. When you can focus solely on where you are and what you are doing, you’ll naturally put off the worry and constant stress and nagging feeling you have. 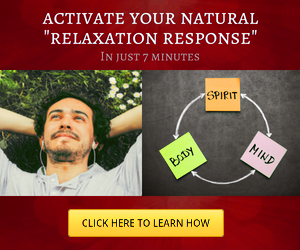 This will make you feel much more relaxed and present. It will allow you to focus on what you need right now, and things like worry will melt away. That list will slowly disappear in your day to day existence. You just need to experience how it feels to let yourself be fully present with that one thing and not having thoughts about anything else. And then see how you feel the rest of the day. You may find some interesting things about yourself and your abilities. As we discussed above, practicing mindfulness regularly and being present can decrease stress. You may notice a sense of calm that lasts a bit longer the more you practice. You may also be more focused. Being mindful can cut the clutter of thought, and can help you see where you mind hurts you. 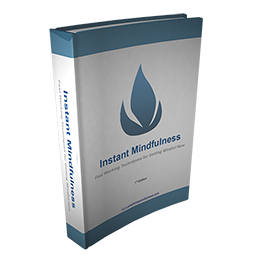 This, in turn, can decrease your stress levels, which can have beneficial effects such as increased immune function, lower anxiety and blood pressure, and maybe even open you up to the relaxation response, which is the opposite of fight, flight, or freeze. Combine this all with meditation and you may reap tremendous benefit and elevated mood. When you feel the peace of the present moment, you increase your resistance to anxiety. Anxiety needs the future to work. When you are mindful, you are focused on the present moment, what is happening right now. There is no room for anxiety here. It doesn’t work. There is a whole new school of thought in scientific communities and well cited documents that point to mindfulness as effective against post-traumatic stress disorder. This is a form of anxiety that is deeply embedded in ones psyche, resulting for a traumatic experience. It has detrimental affects on the body as well. There are therapists using mindfulness with war veterans and active duty personnel to decrease their ptsd. 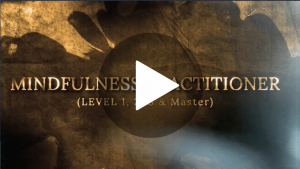 Mindfulness teaches you to tap into what your mind is doing from moment to moment. You begin to see your thoughts and what they are doing to your body in real time. Gaining this perspective is key to understanding anxiety and being able to treat it. It can allow you to take a step back and observe how your mind sabotages you. This is crucial to dealing with anxiety, ptsd, panic, and many other mental issues one may have. Our brains are malleable, meaning, we can re-wire them. When we focus and learn new things, our brains actually create new pathways for information to travel. Using mindfulness is being shown to increase our neuroplasticity, thus making our minds more resilient, even to trauma. Studies have found that mindfulness helps people with chronic illness and even terminal illness by teaching them to live in the moment and focus on the now. It can increase our sense of belonging and purpose, and can help people deal with the stress and emotional impact of their illness. It can also help you accept and understand the illness and what it does to you and those around you day to day. When you know what your thoughts do to your entire being, you can see what they do when you are in a heated argument with a loved one. Being present can give you the tools you need to understand your triggers. This can help you stay calm when you are in a heated moment, and can give you a sense of empathy regarding where you partner is coming from. Mindfulness can help save relationships, and make them much stronger. Life moves pretty fast, and we weren’t meant to stack our days with activities and multi-task 30 different projects for mindless corporations for our whole lives. We were meant for something better. Maybe that something is striving to be the best people we can become and to learn all we can to improve ourselves in this lifetime. Mindfulness can certainly help us not only with coping with the current crazy world we live in, but can give us amazing insight into our own lives. It can show us who were really, truly are, and point us in the direction of our true life’s purpose. It can only take seven minutes to learn, but can change your life in ways you can’t even imagine until you begin practicing it.